What type of intellectual property are we protecting? Has anyone ever done it before? Is it able to be “used” without disclosing how you do what you do? Is it better kept secret (think of Coca-Cola’s formula)? Is it written documentation, screen layouts, things of that sort? Is it a logo or other indicia of ownership for a product service or idea? All of these elements will determine which type of intellectual property protection is available and an intellectual property attorney can assist you on which to use. The other thing to remember is the difference in the basic forms of protections for intellectual property: patents, trade secrets, trademarks & copyrights. Each of these protections are different in many ways. Patents, trademarks and copyrights are federal law, therefore filing is at a national level, through the United States Patent and Trademark Office, or for copyrights, the US Copyright Office. Trade Secret is controlled by state law. States may also have state wide trademark programs which will protect you in that particular state only. Over 40 states have passed uniform trade secrets acts, so there is some uniformity as to the identification of trade secrets and liability for misappropriation. Which Form of Intellectual Property is Most Effective? If you are going to compare just the effectiveness of each protection, a patent is by far the strongest protection for an intellectual property. It provides an exclusive right to exclude others from making the patented idea, generally for 20 years from date of filing. See how to patent an idea to find out how to protect your ideas. Next there would be trade secret. As long as you keep and treat your secret of the trade “secret”, then you will be granted protection. However if the trade secret is disclosed, even inadvertently, the secret is lost and the protection is gone! As for trademark, they are used to protect a company’s logo and other indicia of ownership (branding) used on your products or services. These trademarks are very important if a company is spending a lot of money in marketing and advertising. Protection for trademarks, as with patents and copyrights, also requires thought about the international implications and where you should file for protections. This is sometimes a difficult concept for smaller companies to deal with, because it is can be expensive to file trademarks in foreign jurisdictions, but the risk of losing your trademark in a large country such as Germany or Japan, could greatly impact sales as you begin to grow into these international marketplaces. In technology this is a big issue. Take for example “applications” running on iPhone or Android, the Google AppStore and Apple’s AppStore both sell international virtually instantly. If a company doesn’t have protecting for its trademark in place, it could lose its right to object to companies that create similar product identities, causing confusion in the market. In the US, confusing trademarks is one of the keys to proving infringement. Trademarking your logo, brand name, etc. is a very important protection. Lastly we have copyright. Copyrights are important for literary works and in many cases are used for software protection as well. Copyright should be used for “look and feel” screen layouts and for documentation. You should consult with an expert copyright attorney to determine whether or not your product (software, service, SaaS, etc.) should be protected by and filed as a copyright. Choosing the right method to protect your valuable intellectual property is a skill, and you should review your needs with an intellectual property attorney experienced in such matters. See patent attorneys for more information. Intellectual Pats can be of service to you regarding any of these types of protections for your product or service! Please fill out the form now or call the number at the top of your screen for a free consultation with an intellectual property attorney. What Are The Benefits Of Creating A Business For Intellectual Property? 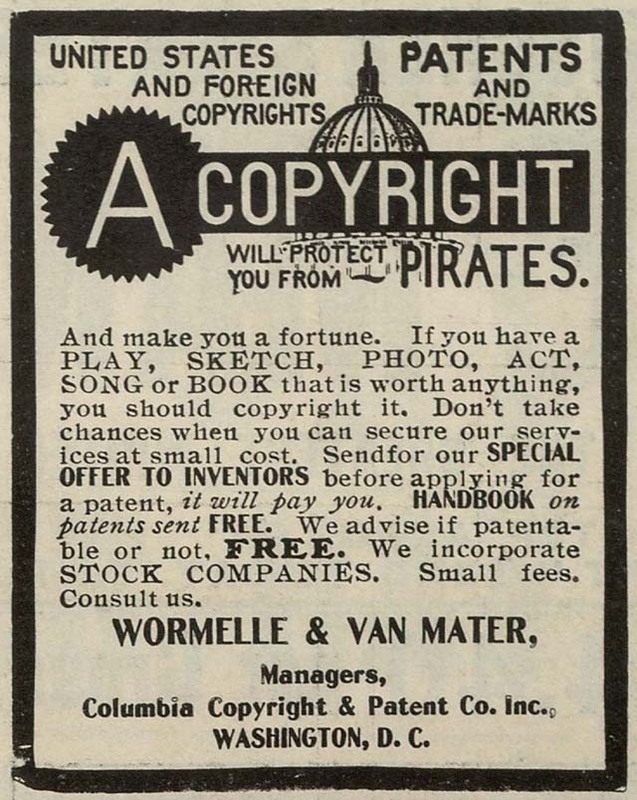 Who Owns Intellectual Property, The Inventor Or The Employer?